SGRainbow organised the #sgrainbowpledge during Pink Dot last year as we reflected on the meaning of our National Pledge. “Regardless of race, language or religion, based on justice and equality” - these are the words that form the foundation of our society. GLBT community groups and activists want sexual orientation to be something that Singapore can look beyond, where we are all equal and treated justly regardless of race, language, religion or sexual orientation (and of course, gender identity). Before we discuss the idea of reclaiming the rights of sexual minorities, we would like to reflect first on how we have done as a community in upholding the existing ones. It is no secret that many gay men on Grindr, Jack'd or chat rooms have specific “requirements”. “Only chn”, “Mly for mly”, “No indians” - these are but some of the things one might see while browsing through profiles. Huffington Post recently published an article on the issue of discrimination among gay men and this suggests that racial discrimination is not something unique to the Singaporean gay community. No doubt, we can have our preferences. But does it warrant the immediate rejection and exclusion of certain racial groups, even those who might just want to be a friend? When we fight for equal rights, we fight not to have people celebrate our gayness. We fight to destroy stereotypes and terrible generalisations. When we exclude groups based on certain preconceptions, we may be committing the same mistake we don’t want the majority heterosexual community to make on us. Another more worrying trend is the discrimination within the gay community against those of certain faiths, namely Christianity and Islam. This is a very sensitive topic so let us thread lightly here. To some, it seems that religion and sexual orientation are immediately at odds. But are they? Or have they been simplified by certain agenda makers to appear so? A consequence of this is the erasure of religious identities in the gay community, especially of the Muslims. This is not a fault of just gay individuals - some community events do not cater to the needs of the Muslim participants, where halal food is not available. An interesting contrast is where vegetarians’ diet choices are recognised and acknowledged while those of specific religious groups are not. At SGRainbow, we try our best to accommodate and respect the specific dietary needs of individuals (i.e. Halal, Vegetarian, No beef, etc). We believe this is but a small step to recognising the diversity and differences and we hope that we can each make an effort to be more sensitive to these two “Ds” because they are ultimately what we all want others to do for us. So let us make it a new year resolution in 2014 for each of us to be more sensitive to diversity and differences. Let us take the first step in changing, to quote MJ, the man in the mirror, before we can change others and then, the world. 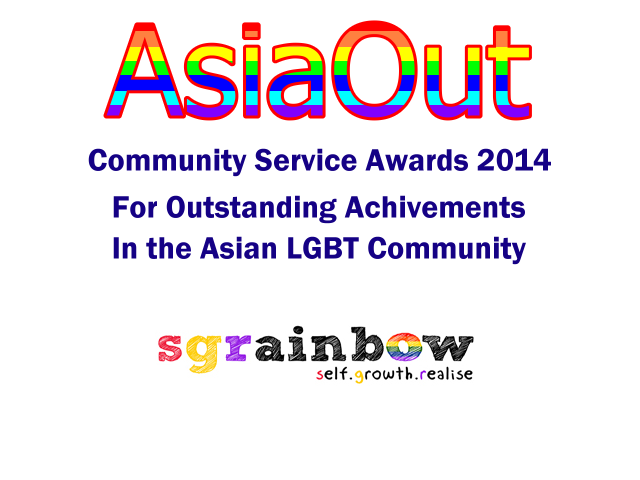 Daryl is a Programme Officer with SGRainbow. He will be pursuing Law and Liberal Arts at Yale-NUS College and NUS Law school.